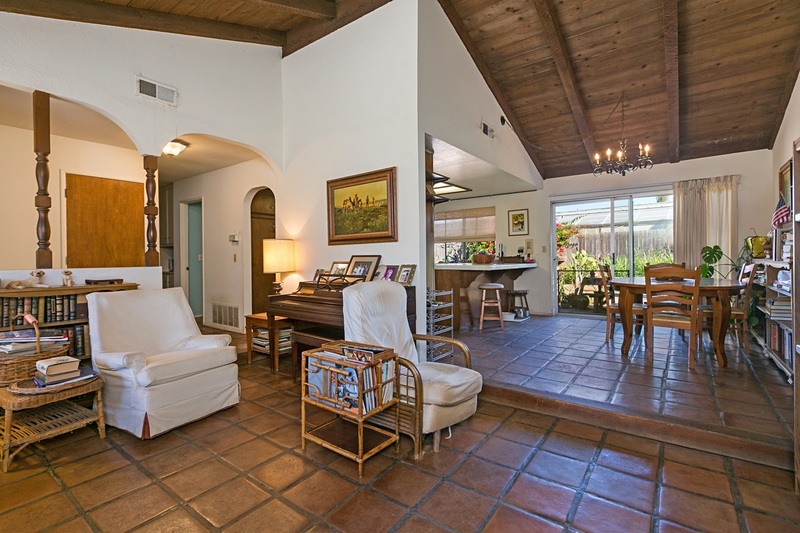 A tranquil tree-lined setting welcomes you to the serenity of this charming ranch style single level Leucadia home. West of I-5 location convenient to beach, shopping, and great local eats. Large lot with room to grow or expand. Quiet dead end private street. Warm wood vaulted ceilings. Saltillo tile floors. Spacious closet areas with plenty of storage. Central air. Loaded with potential. No HOA.